I specialize in total makeovers and can help you rebuild a wardrobe. Schedule a style call today! Is your closet bursting with clothing BUT you still feel like NOTHING TO WEAR? Hey, I’m Alexandra — personal wardrobe stylist based out of Manhattan. With over sixteen years of experience styling women of all shapes the most rewarding part of my job is that I get to revamp the style of REAL women leading REAL lives. …or a good fit, for that matter. Real women, like you and me. Most women are only wearing 20% of their closets and feeling like they have nothing to wear every day. After working with me, my clients wear 80% of their closets and are addicted to the daily compliments on their style. When you’re in alignment with what looks and feels good on you, then you’ll love what you wear . . .
And when you love it, you’ll wear it. I know what it’s like to want to look your best at all times—and to fall short, time and again. And nowadays it’s my passion to help as many women as possible to discover their personal style. If you want to find a style you adore that reflects who you are, then schedule a style assessment call. We’ll have you feeling more confident and comfortable in your own skin (and THAT dress) in no time at all. 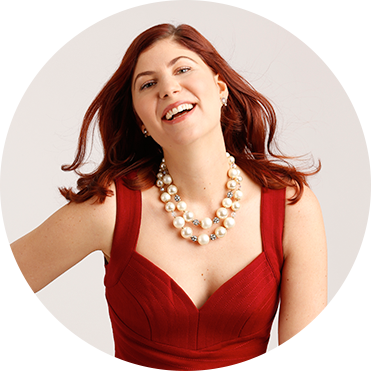 Alexandra Suzanne Greenawalt is an author and personal stylist in New York City. Her photoshoot styling work has been published in Japanese Vogue, The New York Times, InStyle Magazine, Marie Claire Magazine, Surface Magazine, and many more. As a style expert Alexandra has been a guest style expert at several media outlets including Wake up with Al on the Weather Channel, CNN Money, Yahoo Finance, Real Simple, Fab Fit Fun, Shoptopia, and Sheknows. Alexandra has worked with celebrities such as Jennifer Hudson, Duran Duran, and Antonia Bennett. Her 5th avenue atelier currently specializes in helping women through personalized 1:1 styling service. Alexandra’s unique approach is to nurture each individual’s style, working holistically and crafting a personal style prescription to make a lasting impact on each individual’s style and image. Schedule your own style assessment call to see if working with Alexandra is a fit click now. Pinterest: I love to pin. Join me? Facebook: It’s a virtual style fest, up in here.